A selection of new Genie scissor lifts ready for hire outside our Nuneaton depot at Plantool Hire Centres. 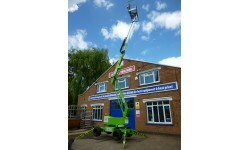 Plantool Hire Centres specialise in access platform hire. From aerial work platforms, cherry picker hire, Niftylifts and scissor lifts, if you are looking for access platforms to hire we have it covered.  Plantool Hire Centres can help reach parts that other hire companies cannot. 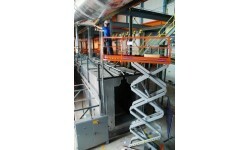 We also specialise in providing ladders and steps, scaffolding towers, podium steps, trestles and supports. 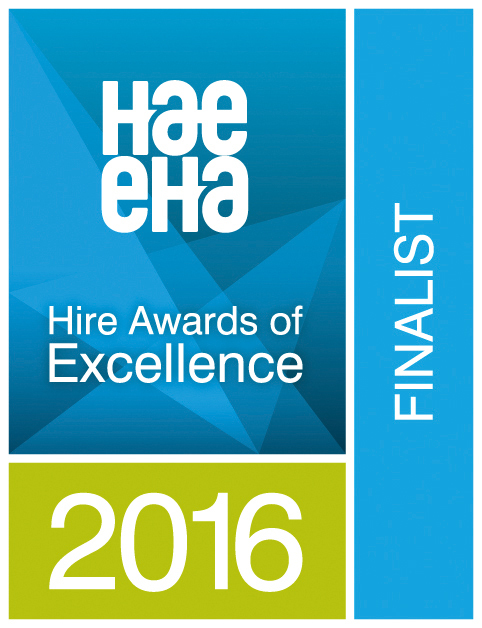 We can also offer a wide range of training including working at height, PASMA and IPAF. Visit our training section to book your place today. Our access platform hire service involves delivery from all our depots throughtout Warwickshire, Leicestershire, Northamptonshire and can arrange supply throughout most of the UK via our specialist supliers. 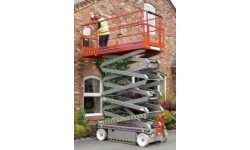 If you're looking for an access platform in the form of a cherry picker, then look no further. 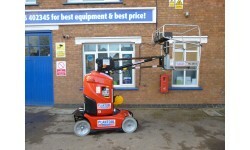 At Plantool we offer Cherry Picker Hire at competitive prices. 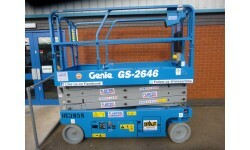 We have a variety of cherry pickers for hire, supplied from specialist and high-quality suppliers. 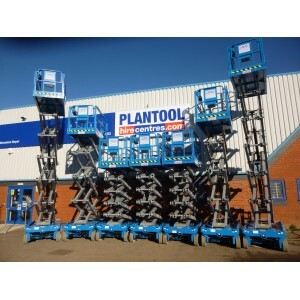 Please contact the Plantool Hire Centres team if you require some assistance in ensuring the very best access platform for your needs. Call us on 0800 334 5365. We operate across the South Midlands and have hire shops in Warwick, Coventry, Nuneaton, Lutterworth, Kettering, Daventry and Stratford Upon Avon. For more information contact your local branch, for a full list of towns and cities we can deliver to click here. 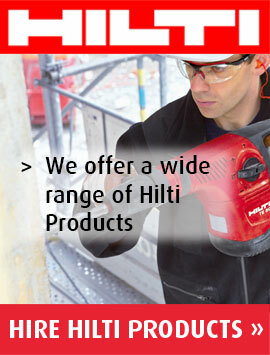 Plantool Training are recognised providers of IPAF, IOSH and PASMA training courses. Self propelled vertical mast with 10m working height and 3.1m outreach. This machine has excellent manoeuvrability and can be easily controlled with the integrated fully proportional controls to reach into the tightest areas. TOWABLE PLATFORM Will take two men and their tools to a working height of 17.1 meters, having a maximum outreach of 8.7 meters. Substantially built it gives great operator confidence throughout its considerable working envelope, its hydraulic jacks ensuring speedy erection. Towable behind large four wheel drive vehicles. The Height Rider 12 Narrow (HR12N) self propelled boom lift is one of the most versatile and reliable machines in its class.It is specifically designed to give maximum reach performance from the lightest, most compact base possible. Hydraulic outriggers and 45% gradeability allow the SD120T work self drive platform to be driven and levelled on uneven surfaces making it the ideal for enviroments with rough or softer ground. A superb small scissor lift with all the features of the larger models, plus the added ability to reach into places the other models cannot. The cage has the capacity to carry two men and their tools to a platform height of 5.9m whilst it is only 0.81m wide. Please note this platform is for indoor use only. A superb small scissor lift with all the features of the larger models, plus the added ability to reach into places the other models cannot. The cage has the capacity to carry two men and their tools to a platform height of 7.9m whilst it is only 0.81m wide. For fast completion of overhead jobs. Surefooted, dependable and ideally suited to level ground applications, both industrial and construction. 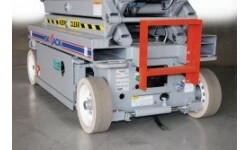 It is battery powered, making it economical to use for overhead maintenance needs. Easy to use proportional controls for smooth operation plus a deck extension complete a very versatile package.